Was Dietrich Bonhoeffer a Political Martyr or a Christian Martyr? … Detlev Daedlow… stipulates that while Bonhoeffer may be a political-secular martyr he is not an ecclesiastical one–a distinction dating at least to the time of the Reformation, and a provocative one coming from someone who himself a member of the Confessing Church (31-32). 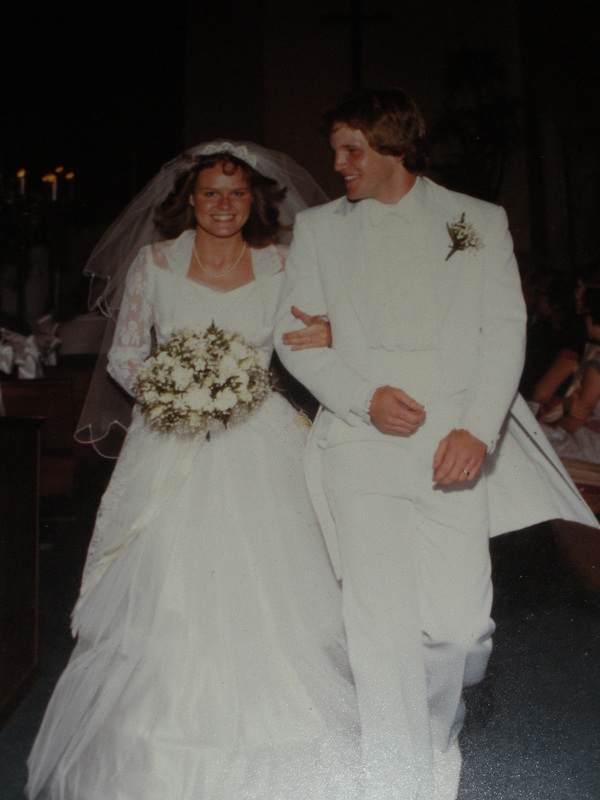 Lois and I Celebrate 31 Years of Marriage Today! …Since 1945, it has become fashionable in various religious contexts to esteem Bonhoeffer with the title martyr. The enthusiasm continues. On 9 July 1998 Dietrich Bonhoeffer was memorialized along with nine other martyrs of the twentieth century at Westminster Abbey. Statues of the ten were unveiled and now stand in the abbey’s west portal. Those included with Bonhoeffer are the Grand Duchess Elizabeth of Russia, Manche Masemola of South Africa, Licuinan Tapeidi of Papua New Guinea, Maximillian Kolbe of Poland, Esther John of Pakistan, Martin Luther King Jr. of the United States, Wang Zhiming of China, Janani Luwum of Uganda, and Oscar Romero of El Salvador (31). Would Dietrich Bonhoeffer Watch “Duck Dynasty”? I Believe He Would! The beards are back for the fourth season of cable TV’s highest rated reality show. Here are nine more things you should know about the faith of the Robertson clan (see also the original 9 things post). 1. Why Duck Dynasty matters: Poised to be the biggest cable show of all time,Duck Dynasty is the highest rated show on TV to consistently portray a family that is unapologetic about their Christian faith and their affection for one another. The pop culture phenomenon is making it harder for television executives to ignore the demand for shows that portray families who put God first in their lives. “What do I wish someone had told me before seminary?” Perhaps this question was on the mind of Samuel Pearce (1766-1799) when he sat down to answer an overdue letter to a young man preparing to enter the Bristol Baptist Academy in 1798. Pearce, though too humble to admit it, was more than qualified to supply an answer. He was the beloved pastor of Cannon Street Baptist Church in Birmingham, England, and he had recently helped establish the Baptist Missionary Society that sent William Carey to India. When Pearce sought to join Carey overseas, the BMS executive committee denied his request due to his significance to the mission in England. Pearce accepted the committee’s decision humbly and continued to minister faithfully, but soon developed a fatal illness. According to his close friend, Andrew Fuller, Pearce maintained “a constant aim to promote the highest degrees of piety in himself and others” to the end of his life. When Pearce penned this letter to a young seminary student, he had been sick for several months. He would preach his final sermon to his dear congregation in less than three weeks. His time on earth was drawing to a close, and he was aware of his pending death. What advice would a dying minister give to a young seminarian? Here is a summary of Pearce’s letter. Without the guidance of a “warm piety,” Pearce warned, you are likely to “pursue trivial and unworthy objects,” or worse, pursue worthy endeavors “for a wrong end.” Interestingly, the student to whom Pearce wrote would be expelled from the Bristol Academy for immorality, an historical detail that underlines the significance of this advice. The opportunity to increase your knowledge carries the temptation to become puffed up with pride. To combat this inevitable enticement, Pearce would have you to submit to your teachers in humility and avoid sowing discord among your classmates. Seminaries are full of men and women preparing for ministry—young men and women, who will undoubtedly bear some marks of immaturity. Pearce recognized this danger and challenged his young friend to govern himself wisely, lest he develop a “light or trifling spirit” in such a youthful environment. Pearce challenged the seminary student to pursue excellence in his studies because, “The hours at such a place are precious beyond conception, till the student enters on life’s busy scenes.” Seminary can be a busy season, but that is no excuse for giving second-rate effort. What Would Dietrich Bonhoeffer Say About the Persecution Against Christians in Egypt? 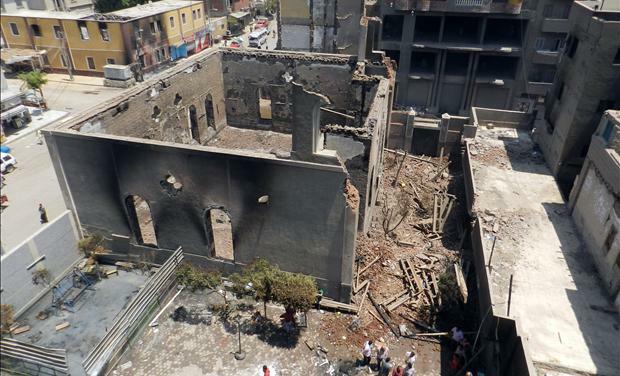 Egypt’s Christians Brutally Attacked – Do We Care? The news coming out of Egypt is overwhelming. Radical Islamists are targeting Christians. There are reports that Muslim Brotherhood supporters marked the doors of Christian homes to know which ones to attack during riots. Christian nunshave been paraded through the streets like prisoners of war – a public degradation of humanity. Churches have been indiscriminately burned to the ground – one had to cancel its first service in over 1,600 years. The number of churches attacked in the recent radical Islamic rampage has risen to at least 60 and by some estimates over 100. That’s it? Is that all we will say? Christians are being systematically targeted. Islamic radicals are blaming Christians for Egypt’s problems to stir up more violence and retribution – reminiscent of Nero. Christians are being murdered and their churches burned because of their faith. And “respect” is all our President can muster to urge? If the open slaughter and abuse of Christians in Egypt doesn’t turn your stomach, boil your blood, and raise to the level of defiant indignation – righteous anger – in your soul, what have we become? If President Obama refuses to speak out, will you? If world leaders cower is silence, will you? If the mainstream media ignores the plight of Egypt’s Christians, will you? We cannot. We must not. We must strive with every fiber of our being to raise the alarm – to stand up with one voice and demand that Christians be protected. Egypt is home to the largest population of Christians in the Middle East, making up 10% of the population of that nation. That’s 8 million Christians facing brutal persecution. If this is happening in broad daylight in Egypt, imagine what happens in nations where there are only a few hundred or thousand Christians. Will you be silent? Will you act? In previous posts, we began to answer the question if Dietrich Bonhoeffer should be considered a “martyr” in the traditional way that Christians understand martyrdom? Even while the dust of was settling, Reinhold Niebuhr was hailing Bonhoeffer as a martyr whose story belonged amongst “the modern Acts of the Apostles.” Bishop George Bell of Chichester, Bonhoeffer’s chief contact in the ecumenical movement, echoed Niebuhr’s sentiments as he recounted the background of the Hitler plot (30). In my previous post, we began to answer the question if Dietrich Bonhoeffer should be considered a “martyr” in the traditional way that Christians understand martyrdom? The ambiguity was immediately recognized by his own church of Berlin-Brandenburg when, after the war, it refused to embrace him as a martyr once the facts of his inspirational activities were known. On the first anniversary of the plot’s failure, Paul Schneider (Lutheran pastor at Dickensheid who refused to comply with the Nazi order not to preach and, after several years of torture in the Buchenwald camp, was given a lethal injection of Strophantine on 18 July 1939) was presented to the churches as “a martyr in the full sense of the word” while Bonhoeffer’s name was not even mentioned. The refusal to name Bonhoeffer was neither a personal rejection of Bonhoeffer nor a repudiation of his conspiratorial activities per se. Rather, it was a theological statement about martyrdom and its limits (30). Was Dietrich Bonhoeffer a Martyr for Jesus? Was Dietrich Bonhoeffer a “martyr” in the traditional way that Christians understand martyrdom? Craig J. Slane, in his book, Bonhoeffer as Martyr, writes that we should not be that quick to see Bonhoeffer as a martyr. Upon his return from New York in 1939, Bonhoeffer involved himself in various acts of subterfuge against the German government, and as an active member of the Abwehr he participated in tyrannicide by plotting to assassinate Adolf Hitler. It was for his participation in this treasonous conspiracy that he was ordered hanged by the Gestapo. 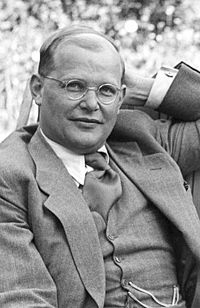 The Gestapo saw only his “high treason.” On the surface at least, Bonhoeffer’s Christian conviction in the matter seem to have been an irrelevant fact in the immediate circumstances of his death. Hence this final and highly politicized period of his life (1939-1945) renders ambiguous the relationship between his Christian confession and his death and thus calls into question the authenticity of his martyrdom when weighed against the traditional Christian understanding (29-30). Did Dietrich Bonhoeffer Really Die “Entirely Submissive to the Will of God”? The report, received by Wolf-Dieter Zimmermann, was written 4 April 1955 by H. Fischer-Hullstrung, a medical doctor who ostensibly had attended to the prisoners on that morning. But it may be as bogus as the trial that preceded the execution. J. L. F. Mogensen, a Danish survivor of the Flossenburg camp, has taken the doctor’s account at several points, First, he notes that on the morning of the hangings the hangings were taken an usually long period of time, from about six o’clock until close at noon. He conjectures that that the reason for the length had to do with the torture technique sometimes used by the Nazis: to hang the victim with the tips of the toes touching the ground so as to prolong the death. When death drew near, the victim might be revived and the process repeated. Mogensen believes this practice would help to explain the prolonged nature of the killings. Second, he notes that the door to the execution area was always closed during killings. Even it it were left open by chance, there were no barrack buildings with a view of the place of execution. Third, he doubts weather the executioner would have allowed Bonhoeffer the uncommon privilege of kneeling and praying. This would have been outside normal procedures. The camp doctor may have known what happened to Bonhoeffer and decided to create an alternative account in order to wash his hands of these deaths. Or he may not have been an eyewitness at all. It also remains possible that he is telling the truth and that Mogensen has misinterpreted his own experience in some way. 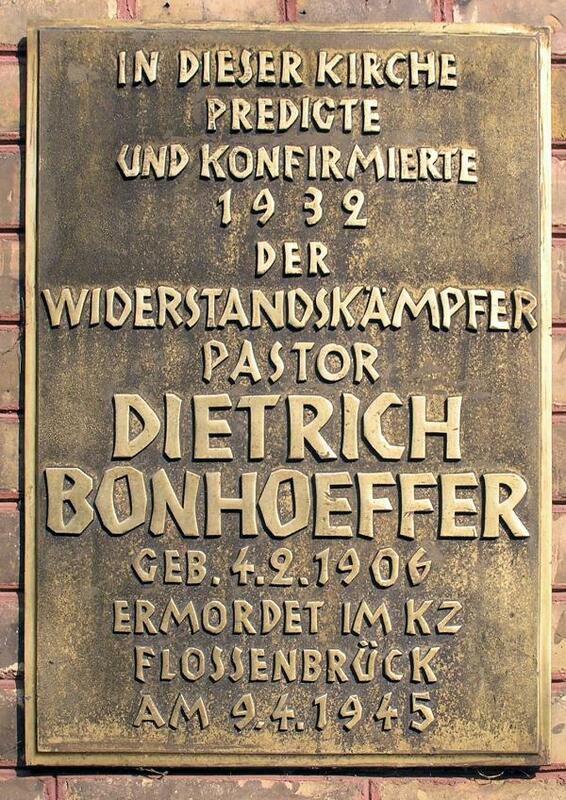 At the very least, Fischer-Hullstrung had to have signed Bonhoeffer’s death certficate. Even so, the doctor’s report is losing its credibility among Bonhoeffer scholars and interpreters. The physical details of Bonhoeffer’s death may have been much more difficult than we earlier imagined. But aside from some kind of recantation, which is practically unthinkable, it is hard to imagine how the harrowing details of his final minutes or hours could make a real theological difference, though they might shape our psychological identification with him. (Craig J. Slane, Bonhoeffer as Martyr, 28).